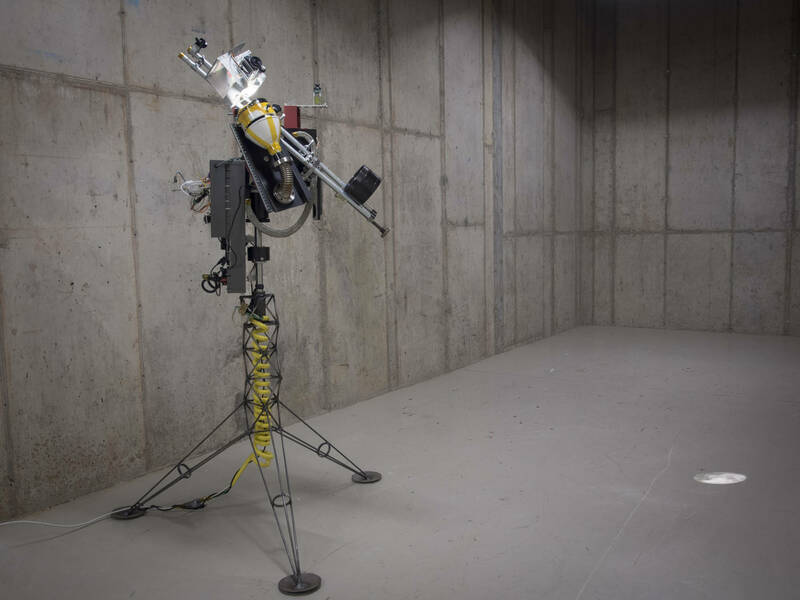 Robb Godshaw’s Lunar Persistence Apparatus is a robotic teleprojector that strives to project a duplicate of the Moon in the precise direction of the Moon, forever. Using GPS and a digital compass, the sculpture ascertains its latitude, longitude, altitude, and heading, as well as the current universal time. It then references a table of lunar positions and phases, and adjusts its phase mechanism and its computerized motor assembly in an attempt to align itself with moonbeams, casting its own light into the infinite abyss of space. 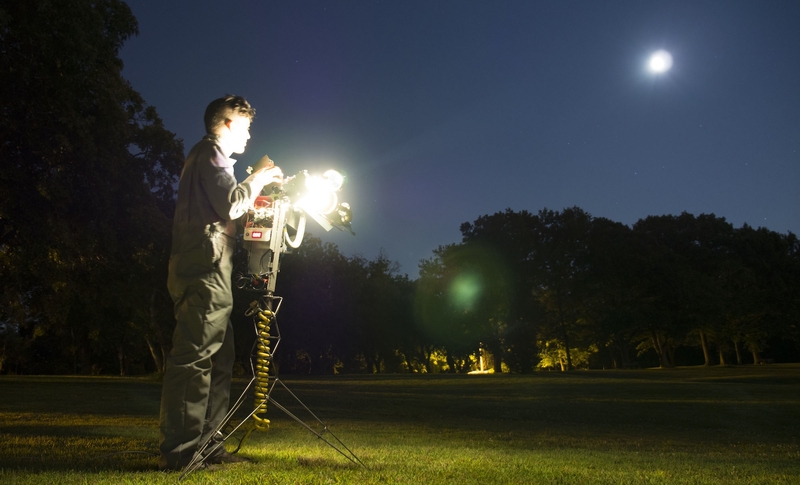 The Lunar Persistence Apparatus uses a telescopic projector and robotic gimbal to project a lunar facsimile toward the moon. 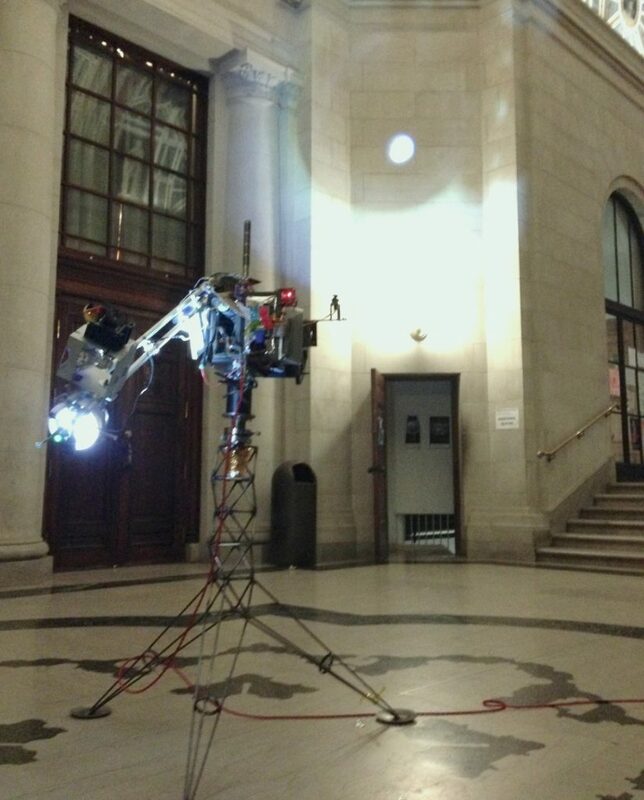 The robot strives to project a duplicate of the Moon, in the precise direction of the true Moon. The apparatus constantly calculates the position of the Moon using astronomical computations based both on the location of the apparatus and the current universal time. During the day, The apparatus continues to indicate the lunar position even when the moon is underfoot. Walls and even the ground become suddenly transparent — but only to moonbeams. 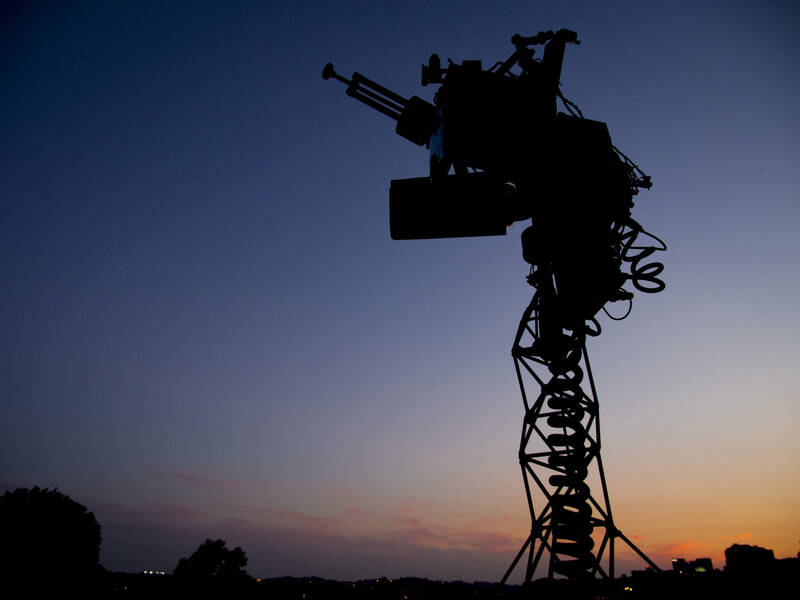 Lunar Persistence Apparatus was supported by a microgrant from the Frank-Ratchye Fund for Art @ the Frontier (FRFAF)— an endowment founded to encourage the creation of innovative artworks by the faculty, students and staff of Carnegie Mellon University. With this fund, the STUDIO seeks to develop a cache of groundbreaking projects created at CMU — works that can be described as “thinking at the edges” of the intersection of disciplines. Robb Godshaw is a 4th-year undergraduate student, pursuing a BFA in robotic and mechatronic art in the School of Art at Carnegie Mellon University. Additional documentation of the Lunar Persistence Apparatus can be found at Robb’s website and in this Flickr photoset. Richmond, Ben. “Here’s a Robotic Moon Replacement for People Who Don’t Want to Go Outside“. Motherboard, 2014.